CANCELLED: Langley RCMP remove post from web site. The following alert was originally posted by the Langley RCMP. We believe this missing person fits the criteria for a BC Silver Alert. 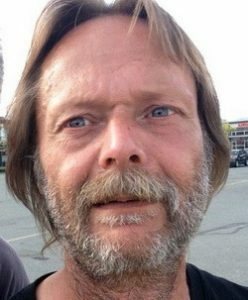 The Langley RCMP are asking for assistance in locating a male who has not been heard from since June 4th. Brian WAHL is a 51 year old male who is transient in nature. It is not unusual for him to go extended periods of time without speaking to his family, which is why he was not reported missing until recently. Brian does suffer from a few medical conditions that can make him disoriented and confused at times. He is known to travel around and his whereabouts may not be limited to Langley. It is unknown what he may be wearing. Brian is approximately 5 feet 5 inches tall, 145 lbs, with brown hair and blue eyes. It is unknown if he still has a beard as in the attached photo. Anyone with information on Brian’s whereabouts are asked to call the Langley RCMP at 604-532-3200 or provide information anonymously with Crime Stoppers at 1-800-222-8477 or www.solvecrime.ca. Posted in 2017 Alerts, Cancelled and tagged Langley.